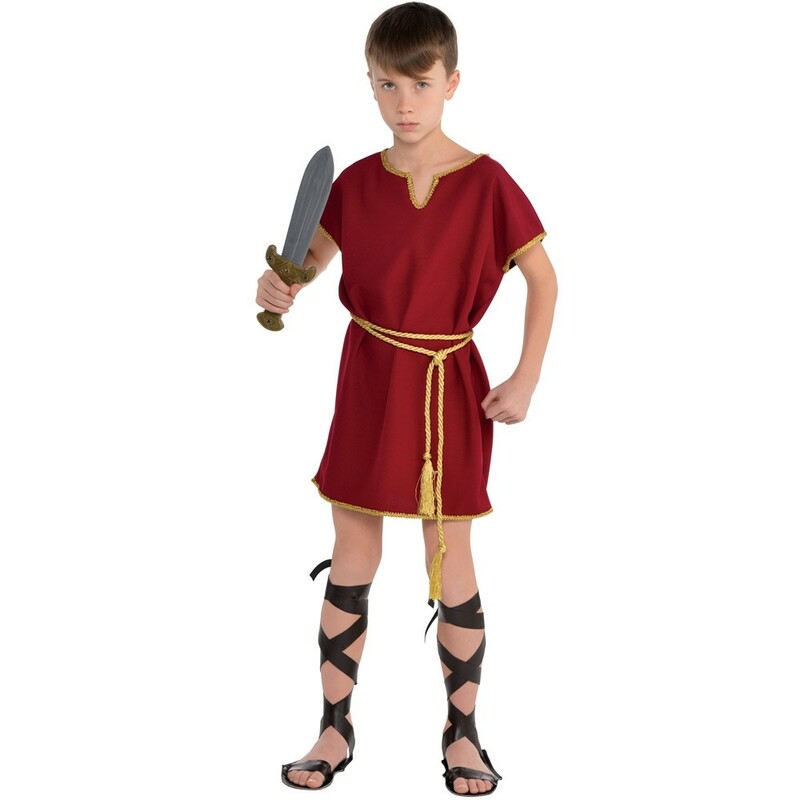 Boys Roman Tunic Costume - Why not pretend to be Julius Caesar for a day in this Boys Roman Tunic Costume. This burgundy tunic costume is perfect for a Roman themed dress up day at school and is the attire that Roman Warriors wore under their armour. Available in ages 8-10 years.